I spent the weekend across the water, in a beautiful part of the world! 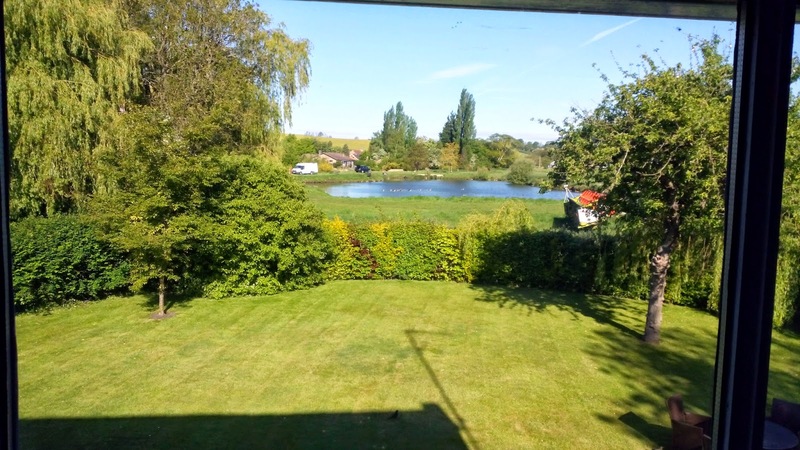 Lincolnshire – View from my bedroom window! Terri’s Brit Bee quilts which we are finishing for her girls. … and eat loads and laugh even more! Thank you my lovelies for the happy memories! And my weekend was made complete with a stop off in Derby to collect uni-daughter and whisk her back home for the summer! Yey! I’ve got all my chicks around me again! Happy, happy! Previous Previous post: Scrappy Nines! Next Next post: Secret blocks!